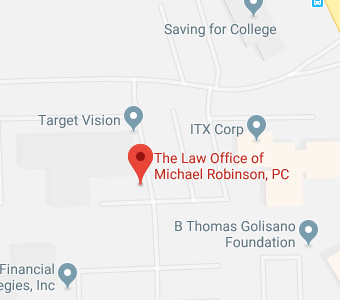 The Law Office of Michael Robinson proudly serves residents of Livingston County, New York. Robert R. Livingston was one of the founding fathers of the United States who hailed from our state, and this is where the county got its name. It was formed during the early portion of the 1820s, so it is a rich repository of history. There are many interesting artifacts on display at the Livingston County Museum, which is in Geneseo. In addition to Geneseo, which is the county seat, there are many other towns, hamlets, villages, and census designated places in Livingston County. These would include Avon, Livonia, York, Portage, Caledonia, Byersville, and Dansville, just to name a handful. Dozens of notable people have called the county home, including famous Civil War nurse Clara Barton and former presidents Millard Fillmore and Chester A. Arthur. According to recent census data, over 17% of the citizens of Livingston County are 65 years of age and older. This is higher than the national average, and when you reach an advanced age, you may face some significant expenses that can have a huge impact on your legacy. The majority of elders will need help with their day-to-day activities at some point in time. According to the Social Security Administration, the life expectancy for a 70-year-old man is 85, and for a woman, it is over 87 years. Four out of every 10 individuals that are over the age of 85 are Alzheimer’s sufferers. Clearly, many people with this horrible disease will spend their final days in nursing homes, and Alzheimer’s is not the only challenge that can lead to a stay in one of these facilities. If you are thinking that you are not worried because you will qualify for Medicare when you reach the age of 65, we have some bad news to pass along. Nursing homes provide custodial care, and this is not covered by the Medicare program. It will pay for convalescent care after an injury or illness when the patient is expected to recover, but it does not assist with long-term care costs. This is a big problem, because nursing homes are extremely expensive. The median annual cost for a private room in a nursing home in the Livingston County area is over $132,000 at the time of this writing. Costs are expected to rise over the coming years, so this figure will be much higher if you ultimately require long-term care in a couple of decades. If you are married, your family may be faced with two different stacks of nursing home bills. Depending on the extent of your resources, everything that you intended to leave to your loved ones could be consumed by long-term care facilities. Fortunately, there is a widely embraced solution in the form of Medicaid. This program will pay for custodial care, but it is intended for financially needy individuals, so there are low income and asset limits. You can give away assets to your loved ones to qualify, but you must act in advance to obtain eligibility at the right time. There is a 60 month look back period, so you have to complete all divestitures at least five years before you submit your application. If you violate this look back rule, your eligibility is delayed. The extent of the delay will depend upon the amount of the divestitures. To provide an example, if you were to give away enough to pay for two years of nursing home care, your eligibility for Medicaid coverage would be delayed for 24 months. You would have to pay out-of-pocket during this interim. As elder law attorneys, we help clients develop strategies that lead to future Medicaid eligibility. Schedule a Livingston County Consultation Today! If you would like to discuss Medicaid planning or any other elder law or estate planning matter with one of our attorneys, we are here to help. You can request a consultation appointment through our contact page, and we can be reached by phone at 585-374-5210.